With the emerging market of EOS-M mirrorless systems and with cutting edge technologies the cameras are getting more powerful every day. The cameras are getting smaller in size but you don’t have to compromise in the quality of the image. Canon recently launched the EOS 200D DSLR in India which is a compact, trendy and lightweight although being an entry level DSLR. 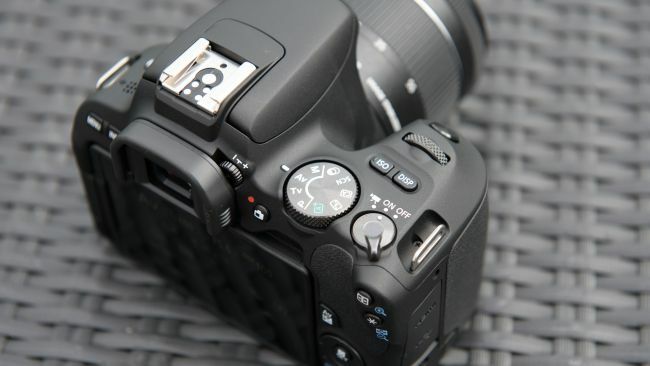 The camera sports a dual pixel CMOS AF which is the 24.2MP APS-C CMOS sensor with the all new DIGIC 7 processor. In the latest DIGIC 7 image processor, you can crank up the ISO speed up to 25600 which helps in reducing the tension of clicking and being stiff in low shutter speed. The focusing capability is extremely fast for the Dual Pixel CMOS AF. It allows to track the subject simultaneously and constantly while shooting at a speed up to 3.5 fps. Pairing with a lens and stepping motor you will get a quieter and smoother video. It comes with a 3 inch LCD monitor which is fully articulated so that you can play with your angles and perspective. The Canon’s popped up guided UI is also there for the help of the beginners. The pictorial guide will help you navigate through the options and modes making things clear at the basic level. With a single tap you can click selfies with tweaks of brightness, skin smoothing and background defocus. The compact body ensures a secure grip and the grain finish in the body makes it feel premium. The circuit board for mouthing the flash has been also downsized a bit for making it light weight. 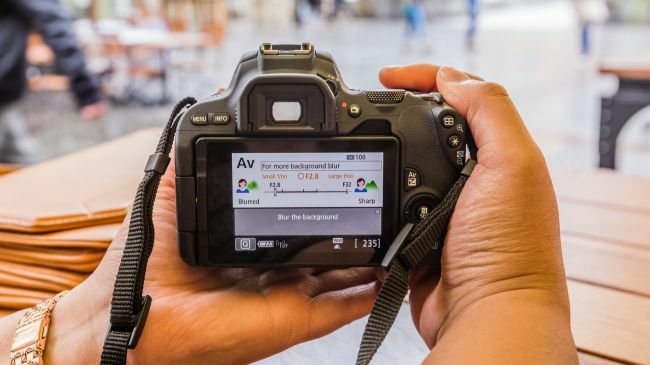 Along with Wi-Fi and NFC connectivity the user can also transfer the images to Canon Image Gateway and any other social media platforms or store it in the cloud. You can also control the real time settings like shutter speed, ISO, self-timer and much more by the Canon Camera Connect app. With a dedicated button for the Wi-Fi and Bluetooth’s low energy technology, it keeps a constant connection with your device. You will also be able to browse Wi-Fi and view images with the Bluetooth and also capture remotely. If you want to see things in the bigger screen you can also connect with your smart TV or projector via Bluetooth and control the image playback and slideshow. • Continuous shooting speed: 5 fps approx. From the guided UI, better build, responsive touch screen, fast AF, better processor it is a good buy for the beginners as well for the experts. The Canon EOS 200D will be available with an EF-S18-55 kit in INR 47,495 and with zoom kit of an EF-S18-55 IS STM + EF-S55-250 IS STM lens at INR 60,495 including of all taxes.